IMPROVE CUSTOMER SERVICE WITH QUICK REPLIES: If you have a business profile (vs. personal profile) Instagram now allows you to create the Instagram-equivalent of keyboard shortcuts, making it easier to provide friendly customer service and save time on sending common responses. To do this, go to your profile page, tap to expand the menu in the top right, and tap “Settings” at the bottom. Scroll down to “Business Settings” and tap “Quick Replies” to create your own shortcuts for common responses. For me, this includes shortcuts I can use to reply to common questions I get via DM. For example, if someone asks me for help coming up with brand story ideas, I can type the phrase “help1” and Instagram automatically inserts pre-written instructions for accessing the free downloadable Story Idea Guide on my website. For your business, you might create shortcuts for how to submit a help request to your customer service team, how to resolve a specific error, answers to common product questions, or something else that saves you time and helps your customers and followers get the information they need. I had the distinct pleasure of interviewing Melanie Deziel. Melanie is a brand storytelling keynote speaker and the Founder of StoryFuel, a firm that teaches marketers how they can think like journalists to tell better brand stories. Before founding StoryFuel, Melanie was the first editor of branded content at The New York Times, and helping build the sponsored content teams at The Huffington Post and Time Inc. She serves on the board of the Native Advertising Institute, served as a adjunct professor for Syracuse University’s Newhouse School of Communications and developed the first course in Content Marketing for Fairleigh Dickinson University. 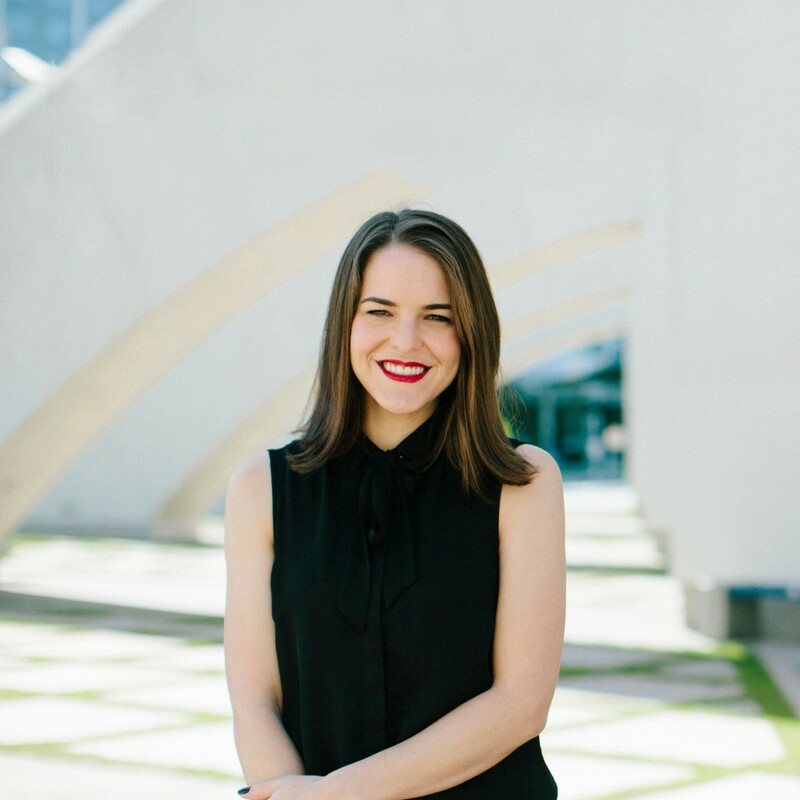 Melanie has traveled the world as a keynote speaker, speaking to tens of thousands of marketers and gracing the stages of industry leading events including Content Marketing World, Social Media Marketing World, Inbound, Native Advertising Days, The Inbounder, SXSW and more. Thank you so much for doing this with us Melanie! Can you tell us a story about what brought you to this specific career path? I studied journalism in school, and always thought I’d end up in a newsroom telling hard-hitting stories about what was happening in the world. But when I was on the hunt for a job, I discovered that my skills as a reporter, interviewer and content creator were extremely helping in the marketing world, too. I learned that many marketers wanted to embrace content marketing and brand content, but weren’t quite sure how to come up with differentiated content ideas, create compelling content and distribute it strategically. I joined the Huffington Post in the early days of HuffPost Partner Studio, helping our ad partners tell stories that would appeal to our audience. I later moved to The New York Times, where I helped form T Brand Studio, and taught our advertisers how to create content that would appeal to an NYT audience. I also spent some time as the Director of Creative Strategy at Time Inc, laying the groundwork for a brand storytelling team that could serve ad partners for all 35 of our US magazines. 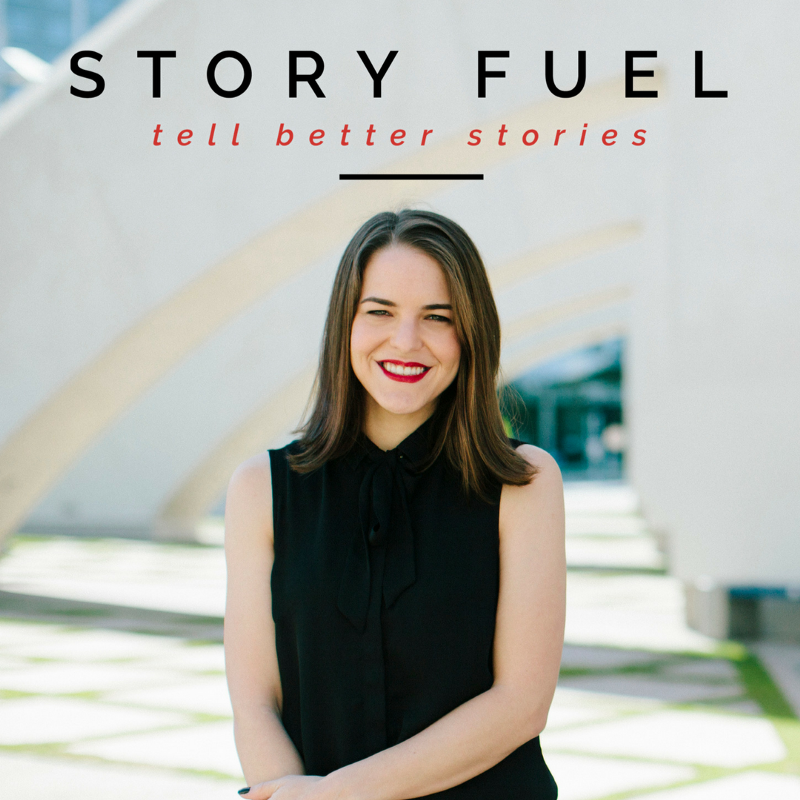 I decided to take my mission of educating marketers about the power of brand storytelling global in 2016, launching the speaking and training company that is now StoryFuel. I’ve worked on hundreds of branded content campaigns, each of which had strategic social distribution plans attached to ensure we engaged and reached the right audience. I’ve spent hundreds of thousands of dollars on social promotion over the years, and been privileged to run social accounts for my brand partners that amassed tens of thousands of followers. While I now focus more on strategy for content, much of that content ultimately finds its home on social media. And in my own life, I leverage social media to connect with my speaking audience and potential clients each and every day. Last year, after I finished speaking at Social Media Marketing World, I was approached by D. P. Knudten. He’d been a longtime follower of mine on Instagram, and it was our first chance to meet in person. He gave me a copy of his book, “ROTOMA: The ROI of Social Media Top of Mind,”where I’m featured as a case study on how to build a personal brand on instagram. It was so cool to meet, so we could go from social media connections to real-life friends, and to take a photo together with the book! As a nice bonus, his book referred to me as “less-caffeinated GaryVee with a far better wardrobe.” Not too shabby! When I first started out speaking, I didn’t realize how much better my craft could become if I focused on a single presentation with some customization, versus trying to create brand new presentations for each and every event. The more times you give a presentation, and the more rehearsal you get with that content, the better it becomes and the more your audience will benefit! Instagram is my favorite platform, but perhaps for an unexpected reason. As a former journalist, writing is my first content language, as I call it. Instagram challenges me to think in a different way, and to use visuals to tell my story. This is an exciting creative challenge, and has made me more mindful of the unexpected beauty all around me, in both my frequented locations and in the wonderful cities I get to visit when I travel to speak. By sharing my adventures, I get to help my followers understand what it is that I do, and I’ve met so many new friends and connections this way. While folks aren’t always requesting keynotes in DMs or commenting to ask about consulting from StoryFuel, Instagram allows them to get to know me so we can form deeper connections that often lead to business relationships down the line. MAXIMIZE YOUR BIO LINK WITH LINKTREE: One of the key challenges on Instagram is the inability to drive traffic with clickable links in your comments and post captions. This has resulted in the ubiquitous use of the phrase “link in bio.” But Instagram only allows you to have one link in your bio, which can limit your ability to promote multiple links at once, or make it so that you have to be editing your bio all the time when your business priorities change. Instead, try a tool like LinkTree, which allows you to have multiple links in your bio, so you can link to all of your relevant promotions, pages, sites and campaigns. In my Instagram profile, I used to have to decide between linking to my website, other social platforms, or my latest lead magnet available for download. Now that I’ve started using LinkTree, I’m able to include links to my website, my speaker booking page, my downloadable Story Idea Guide, and links to my favorite products featured in recent posts. FOLLOW HASHTAGS TO FIND YOUR TRIBE: In December 2017, Instagram introduced the ability to follow hashtags the same way you follow users. When you follow a hashtag, selected posts with that tag appear in your feed. While this might be a cool way to get more content you like in your feed, it’s also a great way to keep an eye on your industry, monitor your competition, engaged with potential clients and connect with future customers. The key is to think carefully about the tags that these groups use, follow the tag, and make an effort to engage with these posts when they appear in your feed. As a brand storytelling keynote speaker, I want to make sure that I’m engaging with my fellow speakers as well as event organizers who may be interested in booking me. To that end, I’ve followed relevant hashtags like #keynotespeaker, #callforspeakers, and #professionalspeaker, so that I see posts from these people in my feed, even if I’m not following them individually. I make a point to like and add meaningful comment whenever I can, so that I’m part of the conversation and consistently connecting with new colleagues and potential clients. SECRETLY TAG YOUR STORIES: We know the power of hashtags to help people find our profile posts on Instagram, but we can often forget that the same discovery can happen with our Stories. At the same time, we don’t want to layer a bunch of text over out photos in a way that obscures the image itself. But if you do it right, you can use the built-in features of Stories to add up to 10 hashtags — the maximum allowed in Stories — and make them nearly invisible. If you do it right, your hashtags won’t detract from the beauty of your photo, but the Story will still be discoverable in relevant hashtag searches, giving you access to the widest possible audience. Whenever you’re creating an Instagram story, use the text tool to type a list of 10 relevant hashtags. Next, highlight the text and use the color-picker tool to choose a text color that matches some part of your photo. Once the color is selected, pinch the text to shrink it down as small as you can, and place it over the matching background color. They’ll essentially disappear! CREATE RECURRING IMAGE TYPES: When someone lands on your profile, they’ll look at your most recent photos to get an idea of the content you share and decide whether they want to follow you to see more content like that. By having a set list of post types that you create, you help your audience clearly understand what they stand to gain by following you, and you also create some visually pleasing consistency in your feed. Some folks will preach about a specific pattern that you create in your grid, but I think generally, consistency of some kind is more important than creating a pattern, since most followers will see your posts individually, as opposed to in your profile grid. On my feed, I try to stick to a few general categories of post types that best represent my company, my life and my brand: I post photos of me speaking to help emphasize what I do professionally. I post photos of coffee since it’s something I enjoy and people can connect with me on. I share photos of books and other items I recommend that I think my audience will enjoy. And I also share photos of my shoes on interesting floors, because it’s a quirky thing I take notice of. Because of this consistency, and the fact that I use a consistent color palette, people know what to expect when they follow me and they can recognize “an @meldeziel post” in their feed, almost before they see the name. REQUEST VERIFICATION: While other social networks have elusive and mysterious processes for getting verified, Instagram actually allows you ro request a verification badge when you think you’re ready. If your business or personal brand would benefit from a verification badge, or if you’re battling some imposters on Instagram, go through the process to request your Instagram Verification, and signal to potential followers trust that you’re a quality profile worth following and engaging with. To do this, go to your profile page, tap to expand the menu in the top right, and tap “Settings” at the bottom. Scroll down to “Request Verification” and enter the requested information. You’ll need to share your full name, any aliases, your brand category (such as News, Sports, Government, Influencer, etc.) and then upload a photo of your ID to prove you are really you. Send the request and wait to hear back on whether you’ll be granted the verification badge that offers extra credibility for your account. In my own work, I’m hoping to inspire people to take an empathetic and audience-centric approach to the content the create and the marketing campaigns they deploy. If we can all focus on our audience, and the ways we can bring them value, then not only will we create better content, but we’ll also form deeper connections with our current and potential audience! As a young journalist, I was mesmerized watching the Page One documentary about the New York Times. I was lucky to get to know David Carr when I worked at The Times, but never did get to connect with Brian Stelter, who was also featured in the film. Talking shop with a fellow lifelong student of media would certainly make for a great meeting. How To Grow Your Business on Instagram.